Acadian Ambulance Service has announced that it will acquire Memphis-based Emergency Mobile Health Care (EMHC). The move expands Acadian Ambulance’s footprint into Tennessee. Acadian currently provides emergency and non-emergency medical transportation in Louisiana, Texas and Mississippi. Founded in 1997, EMHC has served the greater Memphis area with compassionate, patient-centered care and is the Mid-South’s largest locally owned ambulance provider. 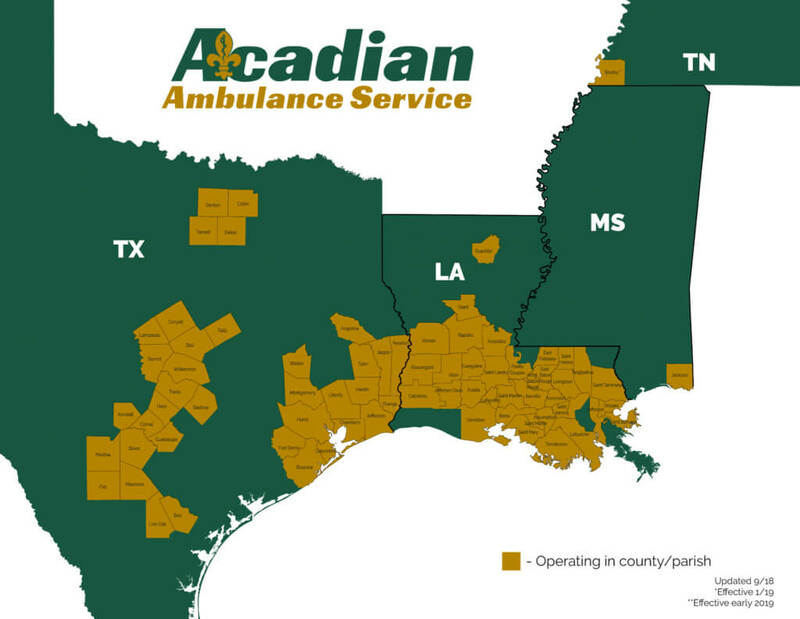 Acadian Ambulance is the largest employee-owned ambulance service in the nation. The acquisition of EMHC and expansion into Tennessee is expected to be finalized in early 2019.